Do I understand the reminder system? Is it useful? Is this really how it works? I can't tell if there is a better way to customize it. I need a reminder system that is triggered according to the time I set. It does show me small pop up windows notifying me of a reminder (quiet, small, little pop ups). However I'd like to see more. 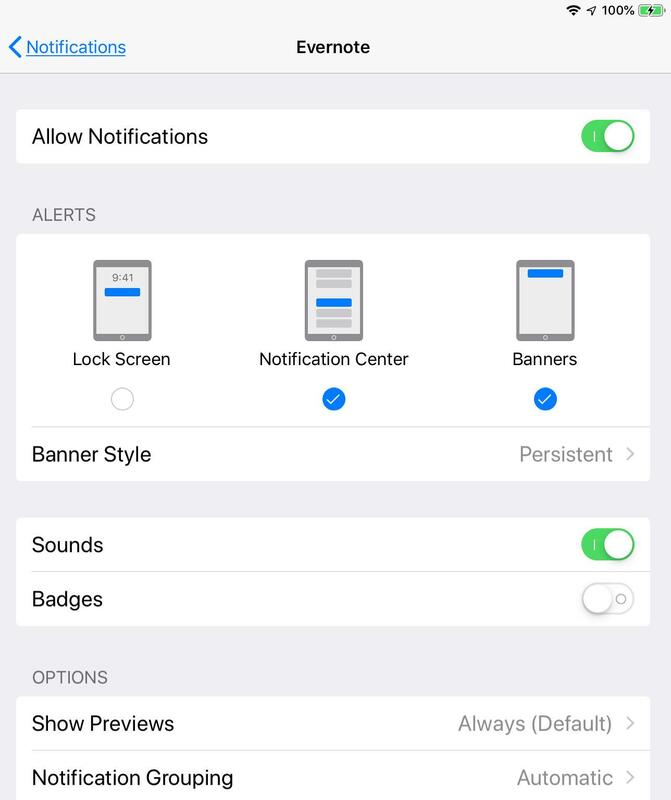 Can anyone clarify on how to get the most of the reminder system? Example problem: Evernote automatically hides my reminders. It's assuming that I don't want to visually see that information unless I remember to seek it out and click on that arrow to expand the window. I just don't know about this. I sort of want the reminder to evident, visible, and you know, reminding me. And one more. I just created another reminder test and there was NO notification about the reminder... just a little blue text that says the reminder time passed four mins ago. I'm sorry but I either really misunderstand this feature or something here is not designed well. Windows? Mac? Looks like the Evernote for Windows client. Anyways, looks like the reminder list being open/closed is based on notebook. In other words, if you have reminders open when you leave a notebook, they should be open when you return. Without doing too much exhaustive testing, with stacks and [All Notes], it appears that reminders are shown if the last notebook had them open, and closed if the previous notebook had reminders closed closed. Ah. Okay. Thanks for that explanation. It sounds like a feature that does not serve my needs then. ﻿﻿ Is this really how it works? I can't tell if there is a better wa﻿y t﻿o customi﻿z﻿e it. I ne﻿ed ﻿a remind﻿﻿e﻿﻿r syste﻿m﻿ that is triggered according to the time I set. It does show me﻿ small pop u﻿p windows notifying﻿ me of a re﻿minde﻿﻿﻿﻿﻿r (quiet, small, little pop ups). However I'd like to see more. Can anyone clarify on how to get the most o﻿f the reminder system? I get the morning email, and notifications on my iPad and Mac. I'm using android and made sure the notifications are on for it. I got nothing. I created a system in which all Evernote reminders automatically generate Google Calendar events with their reminder system. For the Evernote Reminders, I'm satisfied with the processing; both the morning email and search feature. I don't rely on notifications; they lack a critical feature (Snooze). Well, I was/am in the process of looking at dedicated apps but I just wanted to be able to assocciate notes with calendar events in a faster way. I use saved searches to access reminders. Personal use case, I don't much care for interrupting reminders. If something is important enough I'll set an alarm. Preface the searches with an ! to keep them at the top of the list. Obviously a function of one's work flow. I sort of associate "reminders" with "alarm" and that's why I find their reminder system really lacking. However Zapier solved my problems now. Those saved searches look *really* useful. I could never figure out the saved search syntax beyond "-reminderDoneTime:* reminderOrder:*" which is supposed to return all current reminders but it misses some. Would you mind posting the specific queries (search strings) that implement each of your saved searches? It would be a great help. 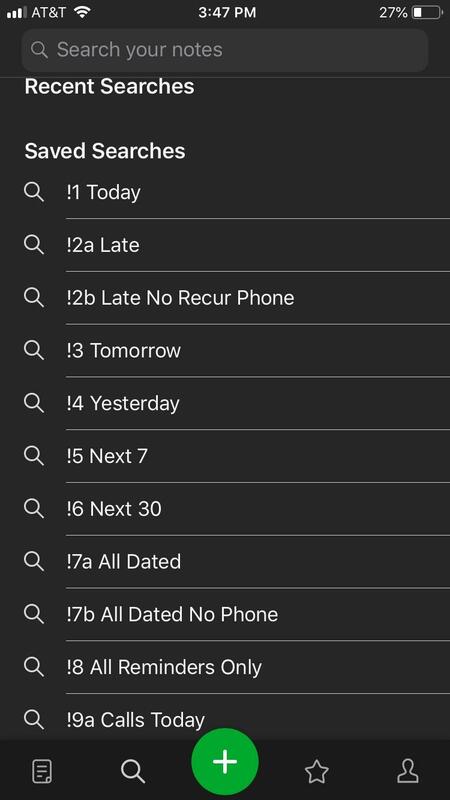 Agreed; saved searches are very useful for retrieving data, including reminders. I use the Shortcuts section for easy access. As per @CalS's example list, my task (todo) managent is based on the Reminder feature. I use Reminders to to store a Start Date and Completion Status/Date. Representative sample. Need something specific feel free to DM me. Except, unless I missed it, that article doesn't cover reminders. Reminder search is definitely non-intuitive. I have yet to create a reminder saved search without some level of trial and error especially since the syntax doesn't (or at least didn't ... haven't checked lately) work exactly the same for all platforms. Searching is one of the strongest elements of Evernote and they could do a much better job making this easier for a user without having to reference a help file. Except, unless I missed it, that article doesn't cover reminders. Reminder search is definitely non-intuitive. I have yet to create a reminder saved search without some level of trial and error especially since the syntax doesn't (or at least didn't ... haven't checked lately) work exactly the same for all platform﻿s﻿. Mine work fine now but two years ago when I changed from a PC to a Mac at home I was surprised to find that the searches which worked fine on Windows did not work the same on the Mac. After some fiddling with the terms I was able to get them to work consistently, but the syntax is definitely not intuitive. Except, unless I missed it, that article doesn't cover reminders. Sorry for putting an iOS-perspective on this thread, but it can be of interest to other users. In the Evernote-iOS-app I can always view my reminders by selecting the alarm clock icon top of the left column. It will show reminders in the notebook selected. So be sure to chose „All notes“ before clicking it. 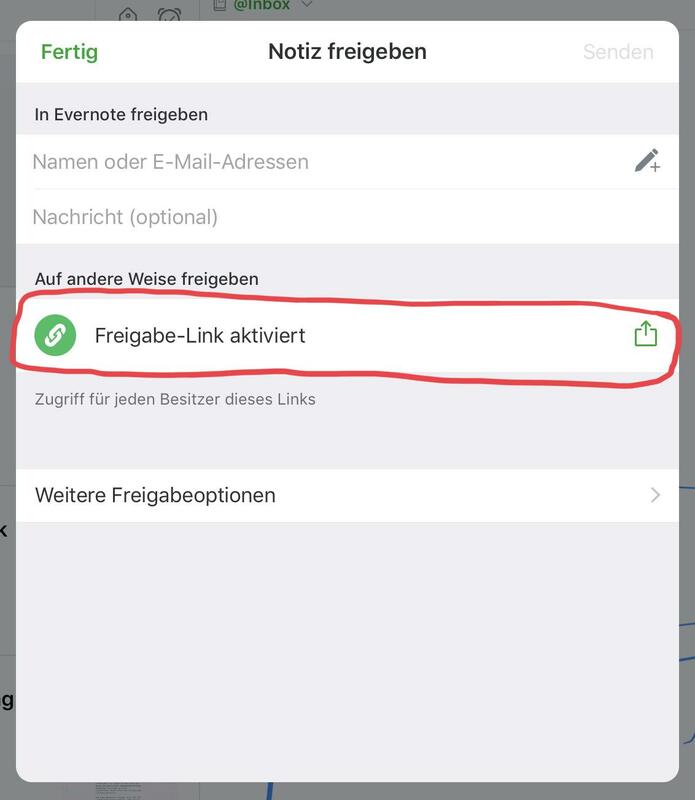 Depending on the Settings, evernote will post a message or send an E-Mail when the reminder is due. I personally do not use the Evernote reminders very much. I like to have every reminder in my task manager. My preferred way is to create a link of the note I want to be reminded of, and send it to my task manager „Things“ (sorry, only available for iOS and Mac). There I will make the adjustments to create the date, assign tags and project and follow the reminder. By this I have all my reminders in one place. 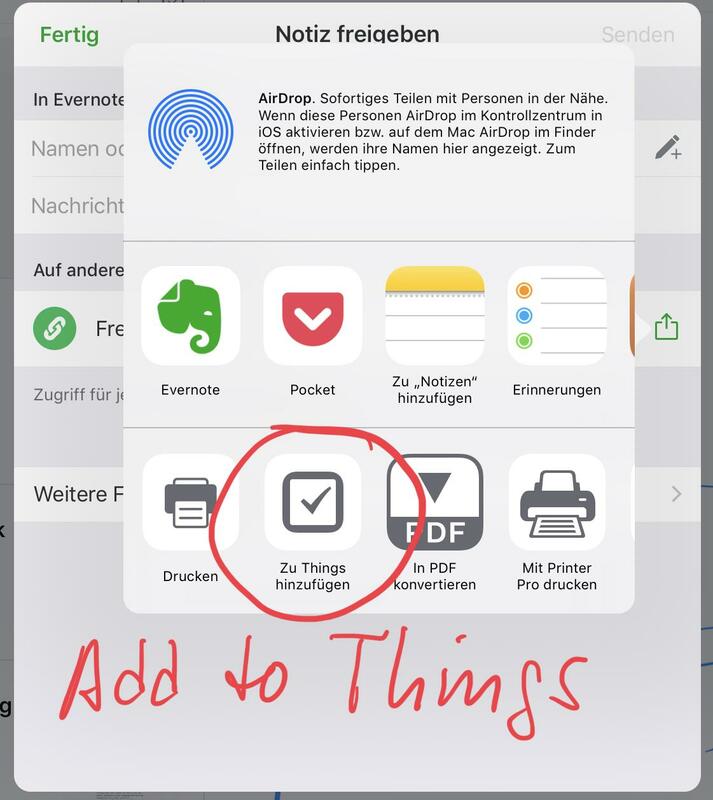 One click on the link in the Things note will bring up the original Evernote note for whatever purpose. To make it easier to follow the workflow, I have assigned some screenshots. Maybe something similar is possible under Android, using other apps.